The Florida Bar Foundation is accepting nominations for its 2019 Medal of Honor Awards. The Medal of Honor Award is the highest award that can be bestowed by the Foundation. The awards recognize outstanding achievements by Florida residents in improving our state's justice system. Recipients are selected in two categories. 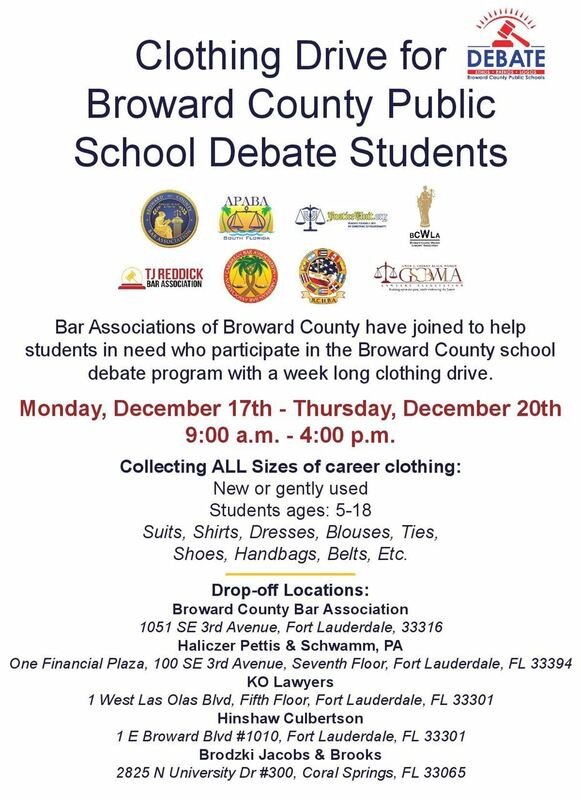 The first category is for a member of The Florida Bar actively engaged in the practice of law. The second category is for a non-lawyer, or an attorney who is not actively engaged in the practice of law. The Florida Bar Foundation will be accepting nominations until February 1, 2019. Please submit your nominations here or use the buttons below. The Haitian Lawyers Association is proud to announce that it is now accepting scholarship applications for the year 2019. Each selected student will be awarded at least $1,200. The selected student will also be invited to attend HLA’s annual gala, to be held on March 16, 2019, at the Hilton Miami Downtown. · Submit a personal statement (maximum two pages) that describes the student’s involvement in the community, the student’s financial need for the scholarship as well as the reason(s) the student believes he/she is better qualified for the scholarship.
. Submit a professional headshot photo to be included in the gala program book in the event that the student is chosen as a scholarship recipient.
. Conduct an interview with the president of HLA. Selected Applicants will be provided with further details. *All documents except for the photo *must* be submitted as one (1) pdf file. 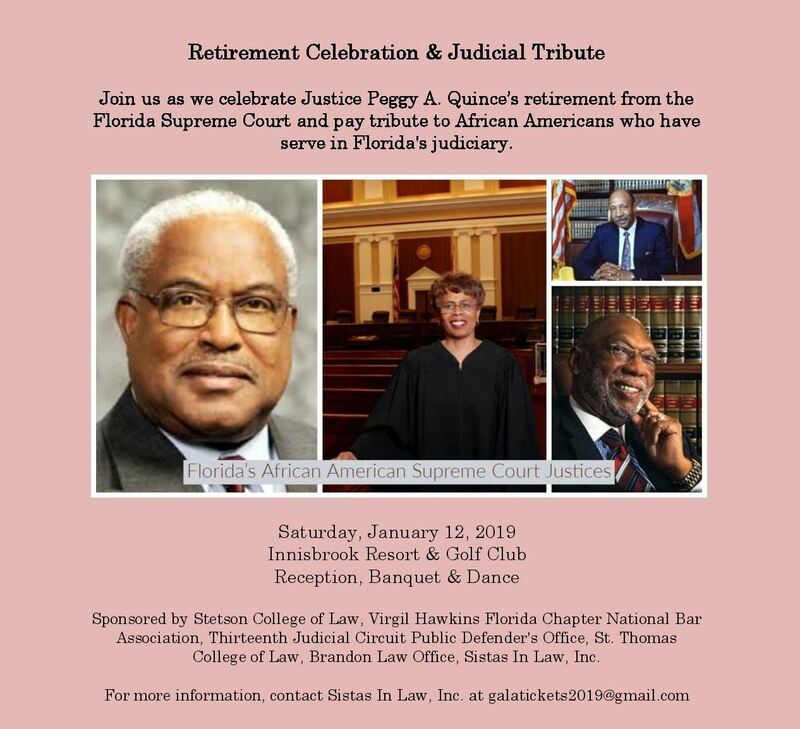 The documents mentioned above must be submitted via email to *info@haitianlawyersassociation.org* and Veronique Malebranche at *vmalebranche@hotmail.com* no later than 5:00 pm on February 8, 2019. Scholarship recipients will be announced by February 15, 2019. Please contact Sistas In Law, Inc. at galatickets2019@gmail.com. 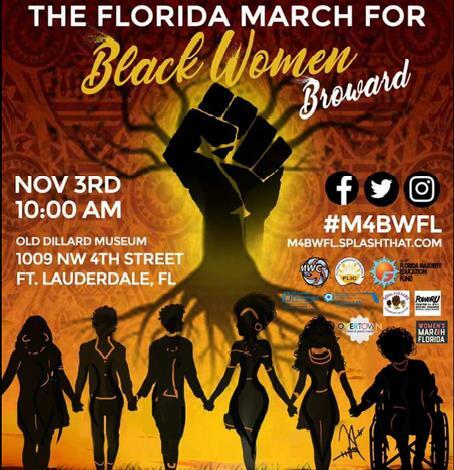 On November 2, 2018, the Supreme Court of Florida (“Supreme Court”) permitted the Florida Association for Women Lawyers (“FAWL”), the Wilkie D. Ferguson, Jr. Bar Association, the Caribbean Bar Association, the Gwen S. Cherry Black Women Lawyers Association, the Daniel Webster Perkins Bar Association, the Haitian Lawyers Association, the Virgil Hawkins Florida Chapter National Bar Association, the Fred G. Minnis Sr. Bar Association, and the George Edgecomb Bar Association (collectively referred to as “Amici”) to appear as amici curiae (friends of the court) in League of Women Voters of Florida, et al v. Rick Scott, Governor, et al. The Amici filed an Amicus Brief to express support for the extension of the application deadline for the three (3) pending vacancies in the Supreme Court. The nine (9) Amici submitted the Amicus Brief to express support for extending the application deadline until at least the end of November 2018. The Amici believe a diverse pool of applicants is of critical importance. The current applicant pool is not sufficiently representative of women and minorities. Of the fifty-nine (59) applicants, only eleven (11) are women, six (6) identify as African American, and six (6) as Hispanic. If the application deadline is extended until the declaration of the next Governor who will make the appointments, the Amici are aware of highly qualified women and minorities who will apply. The Judicial Nominating Commission (the “Commission”) set a deadline of October 8, 2018 for persons interested in filling the Supreme Court vacancies to submit applications. At the time of the deadline, Governor Scott announced his intention to make the appointments with the Governor-elect. The Commission announced it would conduct interviews of the candidates on November 2-8th and certify nominations on November 10, 2018 at the earliest. On October 15, 2018, the Supreme Court issued an interim order ruling that the next Governor will make the appointments. On October 26, 2018, the League of Women Voters filed an emergency supplemental petition asking the Supreme Court to order the Commission to accept new applications, prohibit the Commission from taking any other action until January 8, 2019, and prohibit Governor Scott from taking any further action. These nine (9) non-partisan voluntary bar associations speak with a unified voice in support of increasing the diversity of the Supreme Court of Florida, which has only ever had three (3) women and four (4) African American justices in its 170 plus year history. Seven (7) appointments have been made in the last 20 years—none of them women. 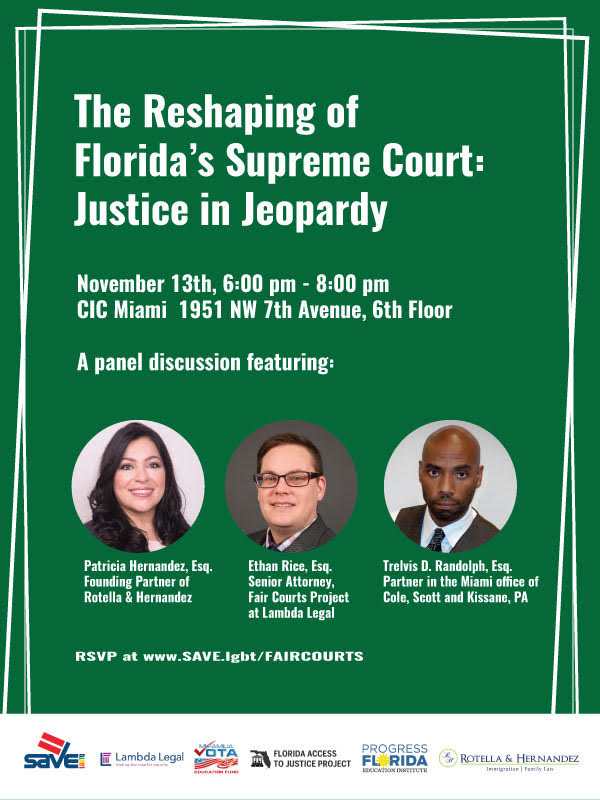 By appearing, the Amici hope to see a Supreme Court that is reflective of the diversity of the citizens of Florida. 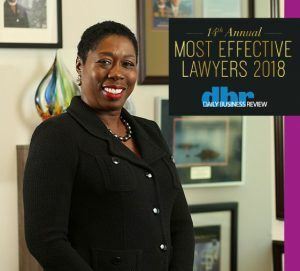 GSCBWLA congratulates Yolanda Cash Jackson on being named Most Effective Lawyer by the Daily Business Review in their Government Relations/Regulatory category! Attendance is free and open to the public. You can learn more about the event here. Please send your RSVP to m4bwfl.splashthat.com. As another week begins, we grieve for those who have fallen victim to senseless violence. 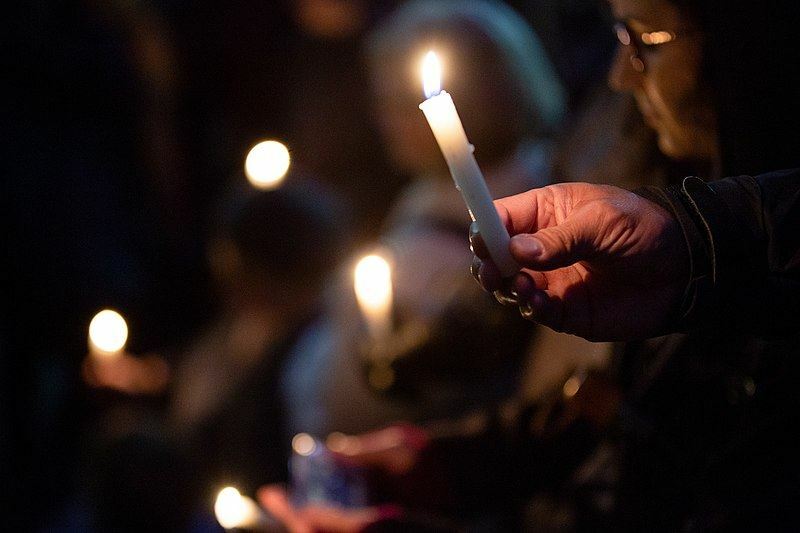 Our deepest condolences go out to the families of the 11 beautiful souls who were slaughtered during synagouge in Pittsburgh while praying -- just because of the God that they worshiped. It brings me back to how distraught I felt when the brothers and sisters were murdered at Mother Emanuel AME Church in South Carolina -- it pains me to see the cycle continuing to repeat itself. GSCBWLA stands in solidarity with our friends of the Jewish faith. But now is not the time for merely expressing thoughts and prayers. The Bible tells us that faith itself without works is dead. The works required in this instance is VOTING. We are a week away from Election Day. We are faced in this country with a cancer of white supremacy. It is this idea of supremacy that drives someone to murder innocent people at worship; to send explosive devices to people due to disagreeing with their political views; and to kill a couple at a grocery store because of the color of their skin (after trying to gain entry to a church). All of these acts occurred in the last week. This cancer of white supremacy can only be dealt with by calling it by its name, and voting in favor of officials, irregardless of party or affiliation, who will do the same, and fight it with all of their being. Charles de Gaulle stated it quite simply: Patriotism is when love of your own people comes first; nationalism, when hate for people other than your own comes first.